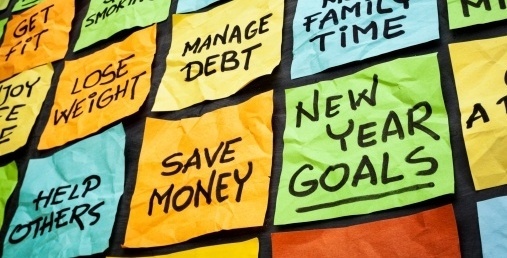 With the year winding down, it’s a terrific time to create new personal financial management resolutions. Whether your goal is to buy a new car or take a vacation abroad, the actions you take today can have a big impact on your financial future. If you would like to practice better financial management, you should first take a look at your financial history from the previous year. Did you build your nest egg? If not, what expenses stood in the way of growing your wealth? As you review your credit card statements and stock portfolios, try to find patterns. For example, did your spending increase during specific weeks or months of the year? This knowledge can be invaluable when it is time to change or reevaluate your financial habits. Once you know more about your financial history, you will be ready to set goals for the upcoming year. First, review your goals from last year. It’s likely you had more than a few goals going into to 2017. It’s also very likely you weren’t able to pay off your mortgage, college loans and save for retirement in one fell swoop. Too many Americans make the mistake of setting multiple financial goals they have no hope of actually keeping. Instead, it’s wise to set one goal and one goal only. This strategy will help eliminate pressure and allow you to focus your energy on the task at hand. 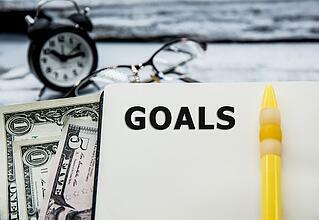 If you are serious about improving your personal finances, you will need to do more than set a goal. The key to keeping your resolutions is to track your progress throughout the year. Whether you use money management apps or spreadsheets, it’s important to regularly identify gaps in your personal budget and make adjustments accordingly. Improving your financial health is not an easy task. You shouldn’t try to do it alone. You will see the best results if you build a support network of others who are trying to accomplish a similar goal. You could seek the support of a spouse, family member, friend or even an online group. A support network can greatly increase your chances of reaching your yearly financial goal. Or, you could seek the counsel of a financial management professional. Today, there are many accessible financial management tools you can use to make your life easier. For example, you can pay bills, transfer money to your savings account and monitor investments all from your smart phone. These tools are a great way to help you change your financial habits and reach your goals in a convenient, stress-free way. 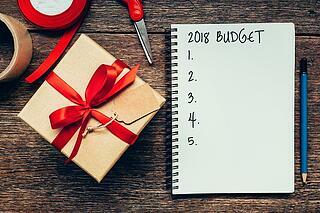 As 2018 approaches, create a resolution to make financial health your top priority. It’s certainly one of the smartest choices you could make.